Make your own luck by creating this quick and simple charm for St. Patrick's Day. 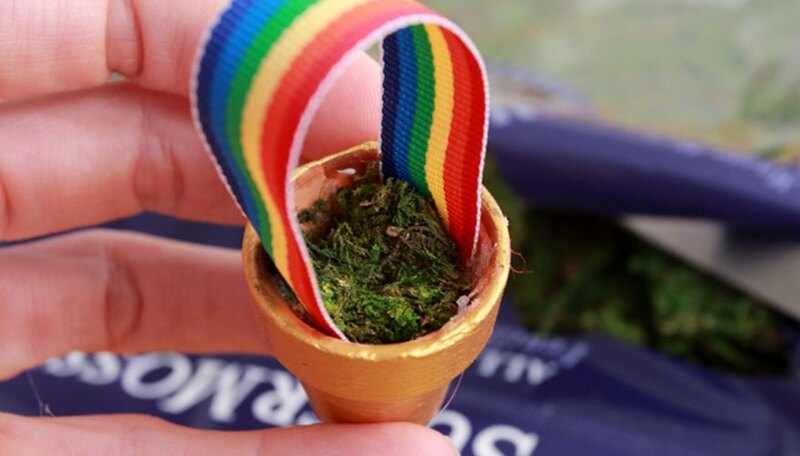 You won't need to kiss any Blarney stones or search for leprechauns when you wear this miniature pot of gold under a rainbow. It can be made in about half an hour and is so cute you may find yourself making one to keep and a few to give as gifts. 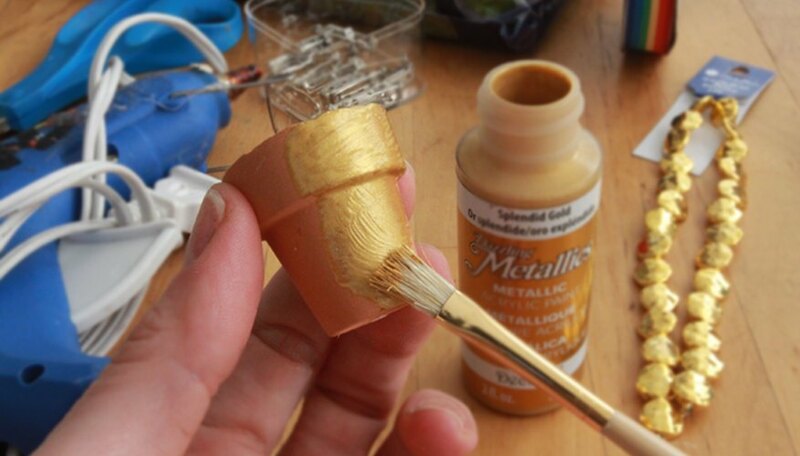 Begin by painting your miniature terra-cotta pot with the gold acrylic paint. Paint the entire outer surface and upper inner lip. Let the paint dry completely. If there is any uneven paint, paint a second coat once the first one dries. 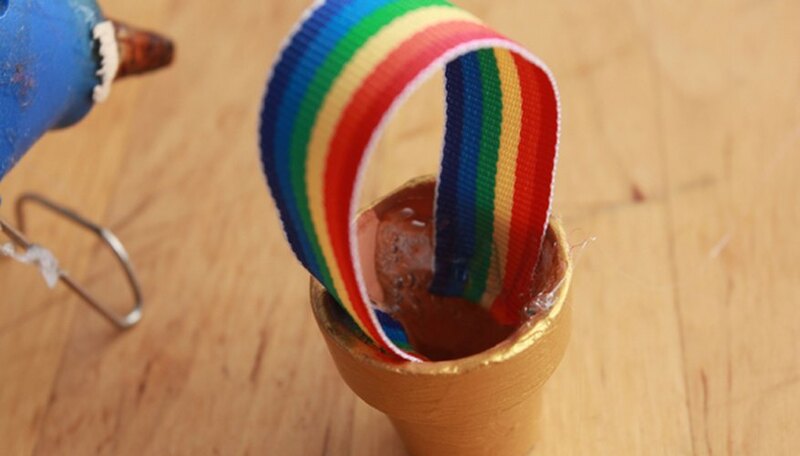 While the gold paint dries, cut a length of rainbow ribbon between 2 and 3 inches long. Plug in your hot glue gun. When it is ready, squirt two beads of hot glue on opposite sides of the inside rim of the pot. 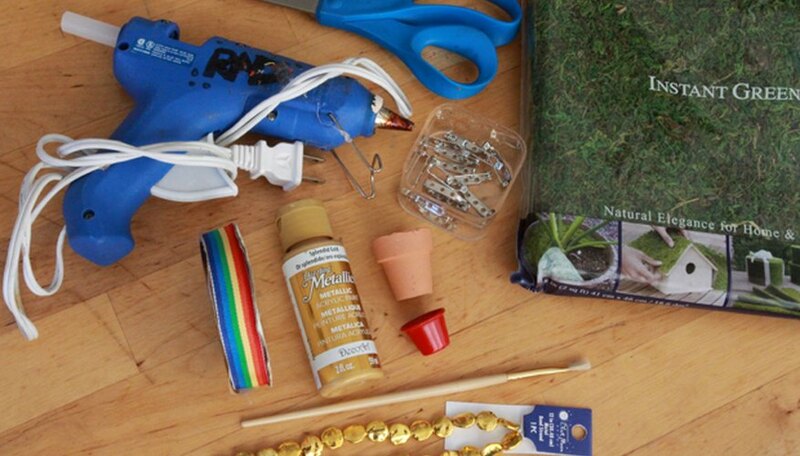 Press your rainbow ribbon into the hot glue so that it creates an arch above the pot. Allow glue to dry. Add another good squirt of hot glue inside the mini pot and secure a bit of craft moss inside the pot. Cut the golden disc beads off of their strand, and use small beads of hot glue to secure them into the center of the moss. Apply a thin strip of hot glue to the back, outer lip of the pot and press the pin back into it. 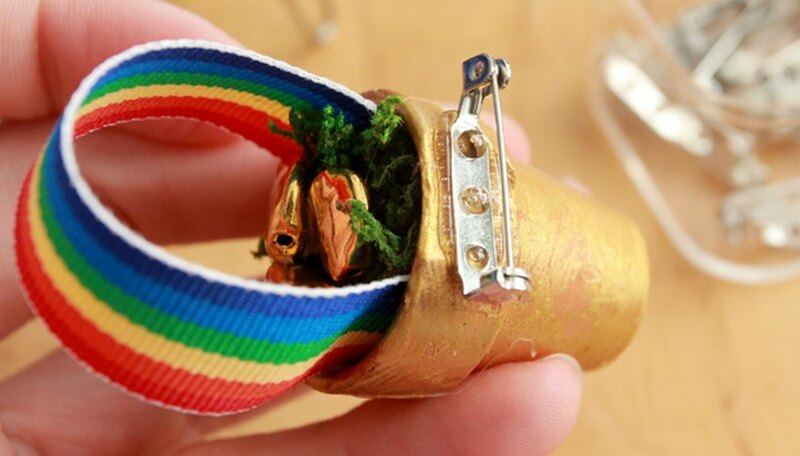 Let the glue dry, and your little pot of gold will be ready to wear. 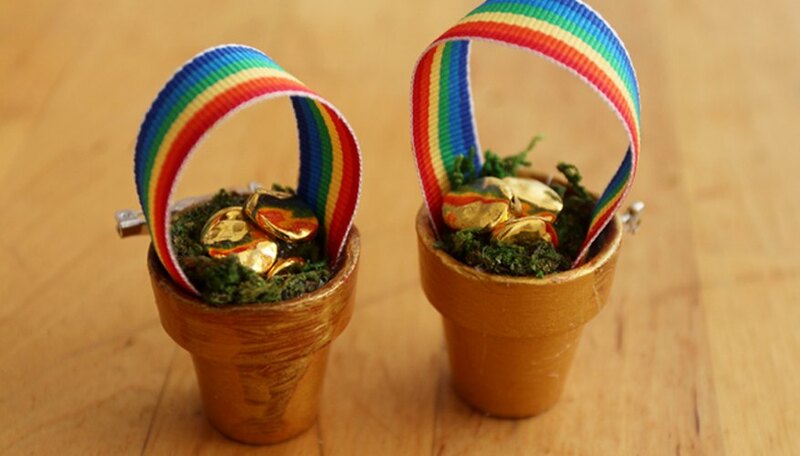 This miniature good luck charm is quick to make and so cute to wear. It will ward off any pinches and will surely result in lots of compliments on St. Patrick's Day.